1. Blood similarity between Finland and the Middle East (Kanaan and Israel). 3. 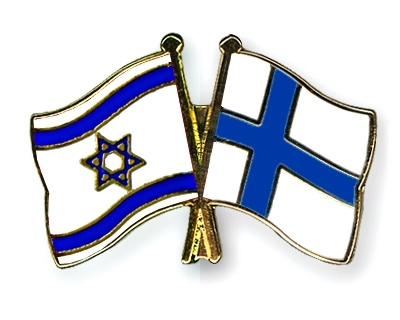 The similarity of language between Hebrew and Finnish : http://www.seemi.julkaisee.fi/ -> See Sanoja (Words). 14. 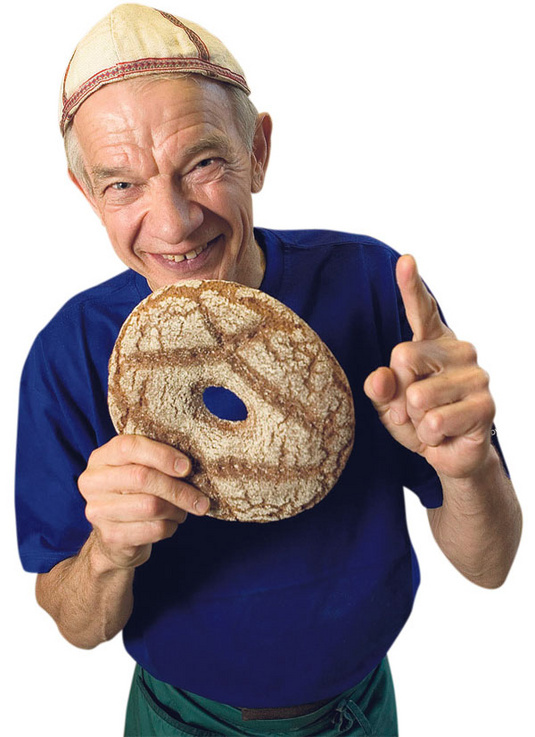 Many Finns are proactive for the Israel, some not. Finland is not anti-Semitistic, at least not as compared to its neighboring Countries. 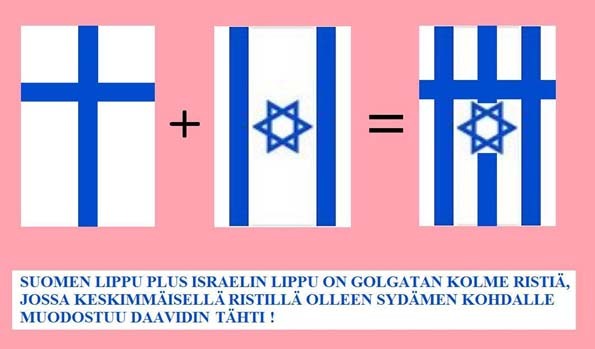 There are many Finnish associations that support Israel. 15. Finns helped Israel during the 1948 war and at other times. 17. Finns have made Mammi that is brown sweet porridge made out rye and malt. The English wikipedia has a different turpentation than the Finnish wikipedia. 18. The miraculous survival of Finland as an Independent Country against the Allies during WWII (The Winterwar, The Continuing War and The Lapland War). The Soviet Union had first made an agreement between themselves and Germany to divide Europe in two. Germany would have the West and the Soviet Union the East, Finland as well (The Molotov-Trippentrop agreement). The Soviet Union started the war with false flag (Mainila shots). The Finns prayed to G'd and Finland was spared. The ratio of soldiers killed during the War was 1 (Finland) to 6 (Soviet Union). The Finnish Marshals headquarters were situated in St Michel (Mikkeli - Michael, named after the Arch Angel). The Finns had no help from anywhere, none whatsoever. The Soviet Union easily took over the Baltic Countries. The Continuous war with Finland was different. Since the Soviet Union still wanted Finland and Finland had no help from nowhere else, It had to turn to ask for help from Nazi Germany. The Finnish commander, Marshalk Mannerheim, did not like the Nazis and only scarcely tolerated Hitler. Mannerheim actually thought it was best for Finland and when a peace treaty with The Soviet Union was possible. Finland drove the Nazis out of Finland. For that reason Finland had to fight against Nazis forces stationed in Lapland. This was the Lappish War. Finland had to pay serious heavy war compensation [to Russia] but miraculously Finland had paid it all by 1952. After this period Finland started to bloom and the economy of Finland continued to grow for over 30 years. But the seed of destruction was already there. The children of the war generation wanted to rebel against G'd. Immorality was loosened in Finland the same way as in the rest of the Western world. And the blessings of G'd stopped. In 1992 there was a terrible recession, exactly 50 years after Finland had paid Its debts. Now It had serious new debts, and could not survive without an miracle. Finland decided to join the EU. This from my point of view was a mistake. We are now even more in debt than 20 years ago (1995 8 billion euros - > 2015 100 billion euros ). And we are surely not going to the right direction. A correspondence of the G'd may be seen between Going in the Right Path and receiving the mercy and blessings of God versus Sin, turning away from the G'd, and dire consequences. 19. Finns have high IQs. They have come up with lots of patents for many inventions (f.e. Nokia). They have a high level of reading ability. The prominent professions include engineers, university scholars etc. Also Finns are good in music and the arts. (Jean Sibelius, Axel Gallenkallela). strength, trustworthiness (loyalty, honesty) and beauty. 20. Finland is a lovely country with lots of milk (full of dairies, dairy products and dairy farms) and honey (There are very active honey farmers in Finland). Basically you cannot go norther than that.